The Red Sea Reefer 350 arrived safe and sound just a few days ago and was very well packaged with Styrofoam sheets galore. 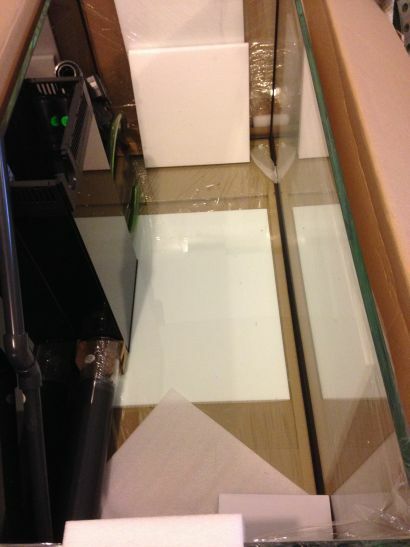 The overflow box is made of glass and is three sided so water can enter from all directions. The grates are easily removable for cleaning which I thought was a very nice feature. Stand assembly went smooth and quality hardware was used throughout. 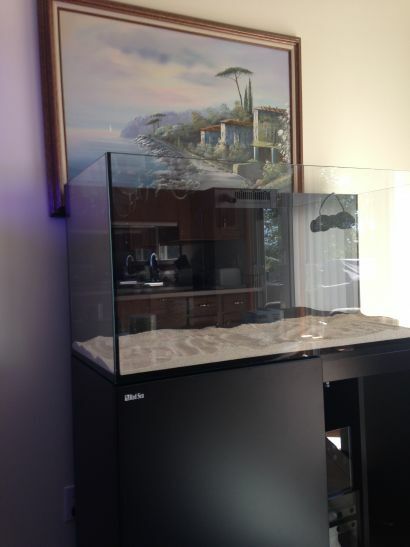 I had a delay in getting help to put the tank on the stand but now it is finally in position. 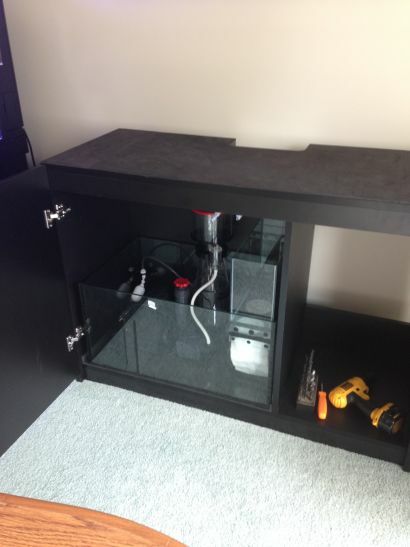 The sump was then installed in the cabinet and Tropic Eden Reef Sand was placed in the tank. The next step was to complete plumbing the overflow and return with the plumbing supplies that came with the tank. All plumbing is cut to fit and “O” rings are used in all connections for a good seal. An adjustable valve is plumbed into the drain to facilitate adjustment of the water level in the overflow. When adjusted properly, there is very little noise from water running over the weirs and into the overflow box. 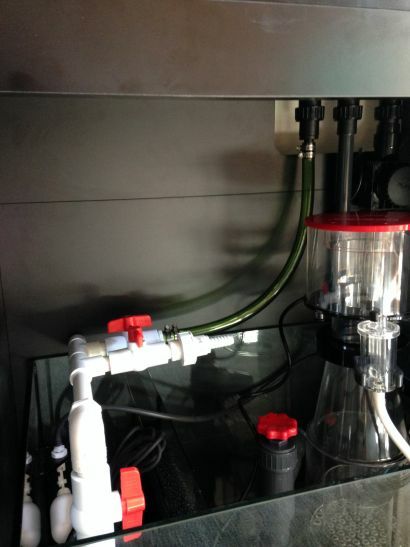 The next step was to construct a water manifold to feed the return line and also feed the Aqua UV sterilizer. 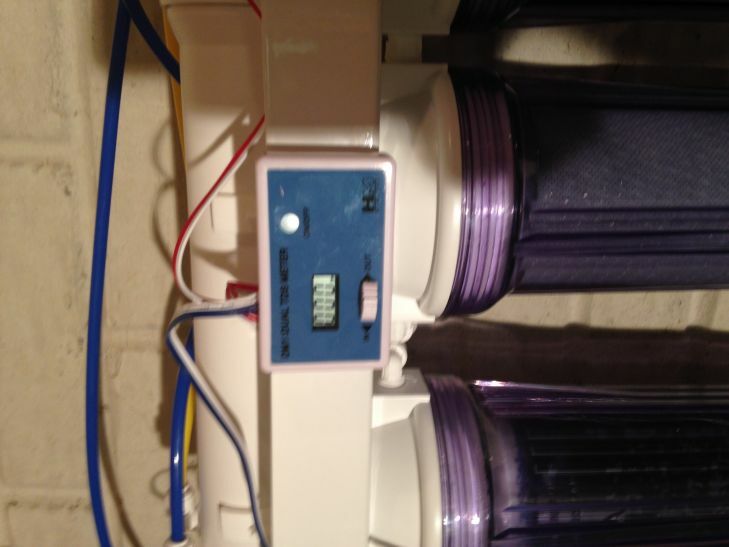 After the manifold was built I installed it with a union connecting to the Orphek 5000 lph DC adjustable pump. 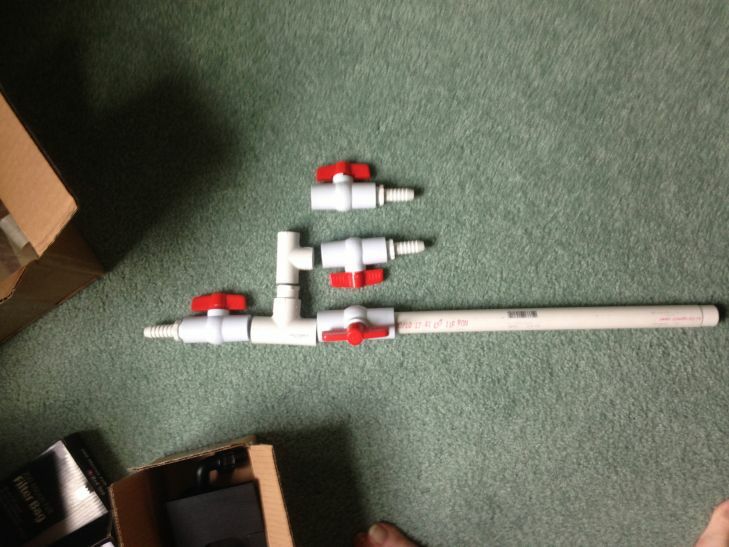 The included flexible tubing was cut to fit and the return line was plumbed in. The skimmer was placed in the sump to get an idea of where I would position the manifold. Hose clamps used on tubing for peace of mind. With all plumbing completed it was time to test the overflow box for any leaks. I put just enough water in the overflow box to cover the fittings and then checked under the tank for leaks and none were found. The next step was to fill the tank and this was a lengthy process using RO/DI water since the unit is located in my basement. I would guess I made well over 20 trips up and down the stairs with a 5 gallon pail. 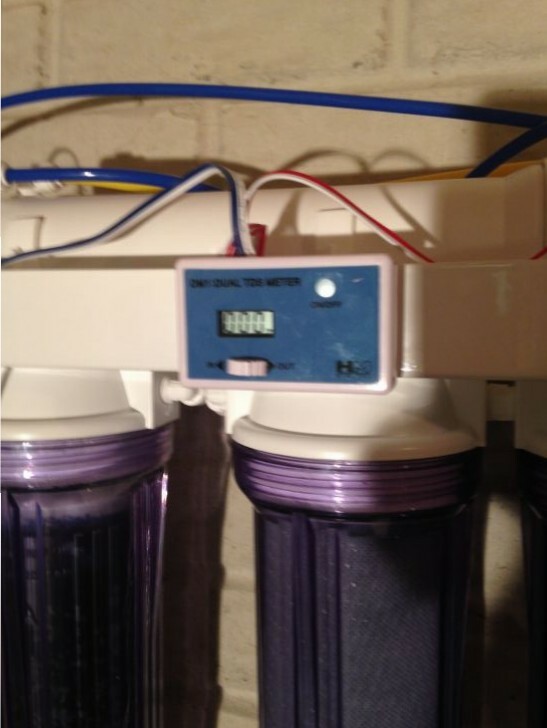 The new RO/DI unit produced 000 TDS water which pleased me very much. Filling the tank nearly took two days with all the trips down the stairs. The tank was now full and was time to fire up the Orphek return pump and adjust the flow and return. With the flow and return flow adjusted properly I noticed how quiet the Orphek return pump was. There was no vibration or any noise that I could detect. The adjustable flow rate of the pump and feed mode all worked as advertised. Once I was satisfied with everything it was time to program the Tunze 6095 Wavemaker. A nice feature on the included controller was the ability to fine tune the resonance of the tank to create a perfect wave from side to side. The 6095 is a very powerful wide flow wavemaker with a maximum flow rate of 2500gph with a minimum of 200gph. I feel I made a good choice going with the Tunze, it is very quiet and uses 21 watts at maximum flow. 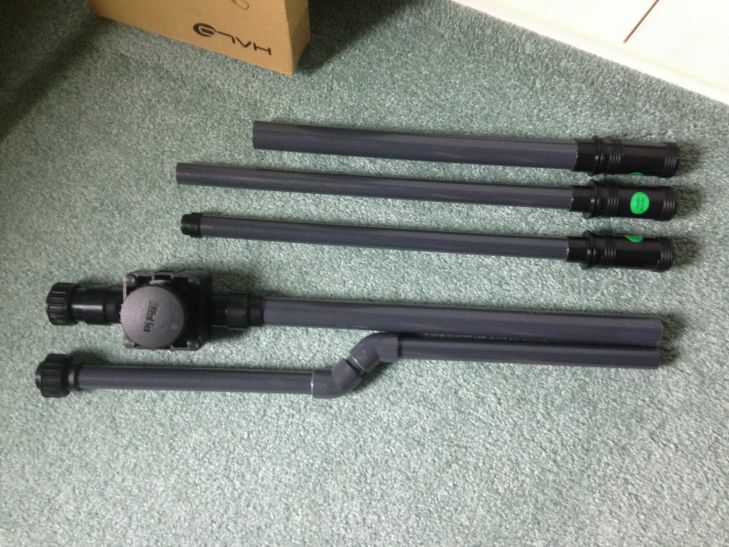 I considered the Ecotech MP40 but the cost was much higher and spare parts are pretty expensive for what they are. I plan on buying the optional photocell for the Tunze which will allow the pump to reduce flow once the lighting is off. The photocell plugs into the controller and reasonably priced at 20.00. Tomorrow I will be traveling to Tropicorium in Detroit to hand pick some nice live rock and coral. This will be featured in the next installment.